The airport released preview designs of the new terminal, which will be called PremiAir. There will be several different services available depending on individual passengers’ preferences. It will be entirely separate to the existing three terminals at Manchester. Passengers using PremiAir to depart from Manchester Airport will kick-off their journey in style, with a range of special services. They include: a personalised welcome, speedy baggage processing, an elegant lounge with complimentary food and drink, and a dedicated security channel. They will then be driven straight to their plane in a private car transfer. Passengers arriving back into Manchester will also be able to use PremiAir, either as part of a round trip booking or as a standalone service. They will benefit from a car transfer direct from their plane and use of a dedicated passport control service. They will also be able to relax in the PremiAir lounge while their luggage is returned personally to them. 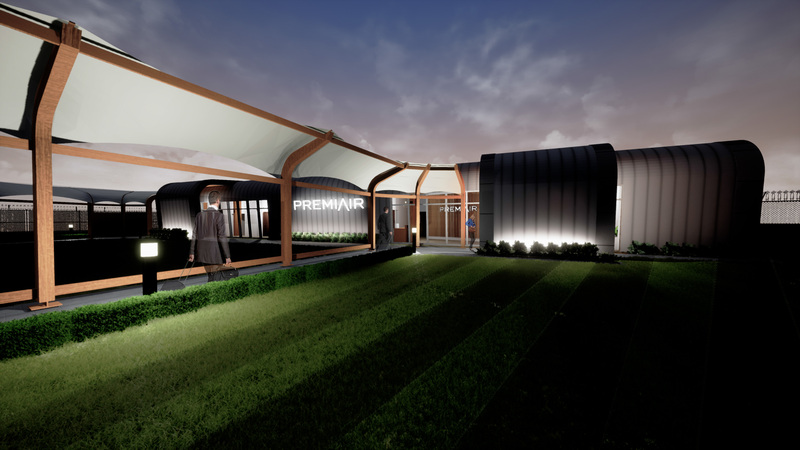 The new PremiAir terminal is situated away from the existing terminals, just two minutes’ drive from the M56. Secure parking will be available for those who drive to the facility. As well as easy road access, passengers using PremiAir will benefit from reduced walking distances, as the total walking distance from arriving at the terminal to the aircraft door will be under 20 metres (65 feet). Andrew Harrison, chief executive, airport services, MAG, said: “By introducing PremiAir, we’re offering something unique for all of our passengers, and creating a completely new way to travel. “The launch of PremiAir at Manchester Airport is the beginning of an exciting new project for MAG and we plan to assess opportunities to introduce it at other airport sites in the future.